The University of Maine Office of Residential Life offers a variety of housing options to students who wish to live on campus. 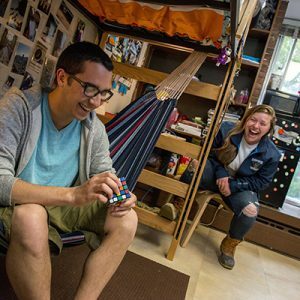 As with all communal living, all housing options at UMaine involve students sharing living space, bathrooms and other common areas with their peers. The Office of Residential Life strives to create a vibrant community and provide housing that fosters and supports students’ academic, social and personal goals and well-being. Students requesting housing accommodations because of a diagnosed disability are required to apply for accommodations through the office of Student Accessibility Services (SAS). In order to have time to process and review applications and hold spaces out of regular room selection the following deadlines for submitting materials have been established. Returning students who plan to live on campus fall 2019 must submit materials by February 8, 2019. 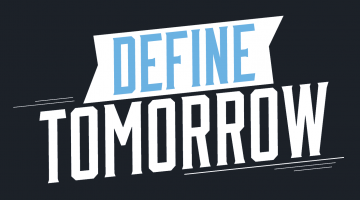 The preferred date for new first year or transfer students is May 1, 2019. We can not guarantee a medical/disability single room for requests made after June 15. Students request housing accommodations by completing the SAS Housing Accommodation Procedure and Application form and then having an in-person or video conference meeting with professional staff. All requests for housing accommodations must include written documentation of your disability from a licensed professional. Doctors, psychologists or other professionals providing documentation are asked to fill out the SAS Disability Documentation Clinician Form and return it directly to the SAS office. It is helpful to fill out a release with the provider in case we need to contact that individual to ask follow up questions. Once both the application and documentation forms are received SAS staff will review the request. Decisions are generally returned in 2 weeks once the review process starts. To be eligible for housing accommodations, your disability must significantly restrict access to and participation in the residential community. Submission of a request does not guarantee approval of accommodations. Examples of accommodations UMaine may provide include modifying rooms to accommodate students with physical access needs, installing visual alarms in residential rooms for students who are deaf or hard of hearing, assigning a student a room with close proximity to the restroom for medical reasons, or assigning a single room to accommodate adaptive technology equipment. While every effort is made to honor a student’s location preference, assignments are made based on the approved accommodation(s); specific residential areas are not guaranteed. Because of numerous sites on campus that provide reduced distraction study space, single room accommodations are generally not provided solely for academic related needs. Student Accessibility Services strongly encourages students whose enrollment at the university depends on the availability of on campus housing to apply far in advance of the published deadlines. If you have a question regarding Service or Assistance Animals please go here. If you have a question on dietary accommodations, please contact Dining Services.